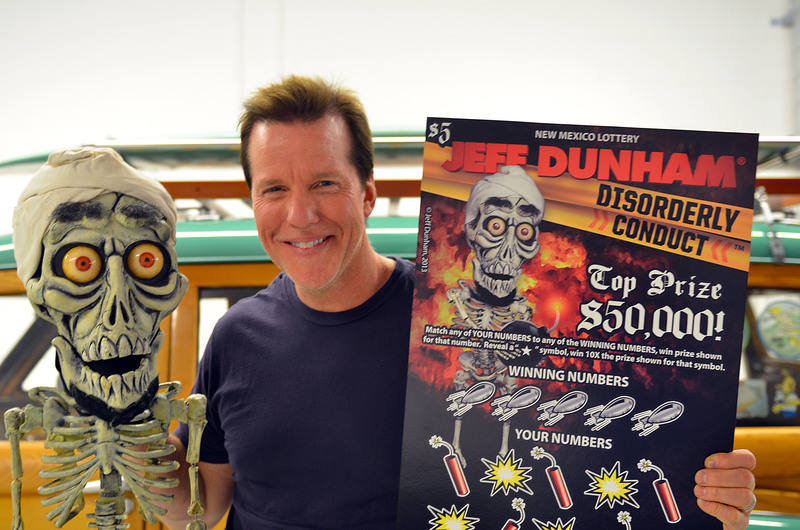 It’s possible, we suppose, that you’ve never heard of Jeff Dunham. We also suppose that you have no idea that the sun orbits the Earth, it seems equally likely. However, just a few years ago we wouldn’t have been nearly as surprised, even though he’d been around and hard at work for close to 25 years at that point. 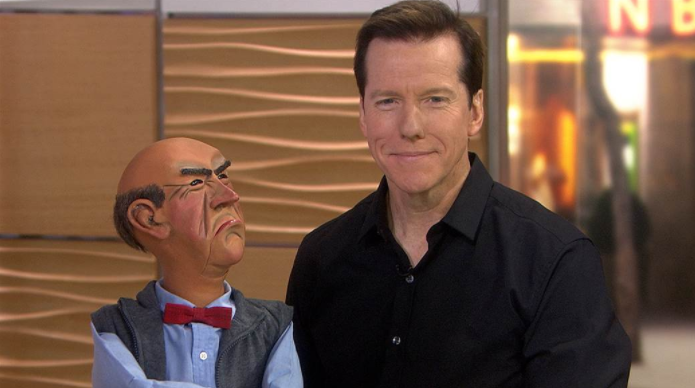 Now, Jeff Dunham is one of the biggest name in ventriloquism and puppets, and is part of a multi-million-dollar comedy empire. Born in 1962 on April 18th in Dallas, Dunham grew up as an adopted son to a homemaker and real estate appraiser in an affluent part of the city. His future became apparent to him at the tender age of 8 when his parents presented him with Mortimer Snerd a dummy made famous by Edgar Bergen, a ventriloquist of some repute. Seeming to feel as though he’d been delivered a new best friend rather than a mere puppet, Mortimer never left Dunham’s side and performed for anyone who happened to ask. Dunham revealed that a part of the appeal at this age was being able to utter things through the puppet that he would never have gotten away with as himself. This young child had learned the power of the performers art, the ability to speak to those in positions of power as if they were equal or lesser to oneself, a heady experience for anyone, let alone someone at that tender age. 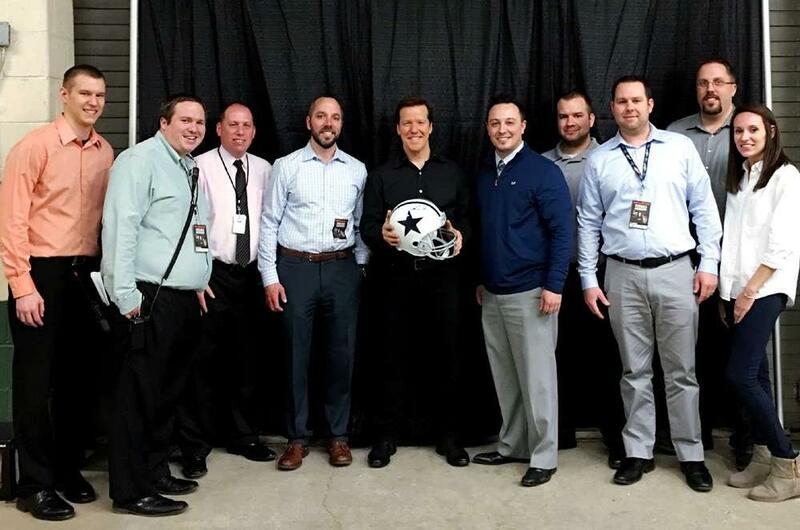 He used this experience to drive his budding career forward, even having the opportunity to have a little fun with Roger Staubach, a famous quarterback, and the head of GE, Jack Welch. “When outlandish things come out of an inanimate object, somehow it equals humor!” Dunham has been known to say. He already had some impressive experiences by the time he graduated High School, and ventriloquism had become an indelible part of who he was. Throughout his time at Baylor university he was constantly engaged with acts, flying all over the country. During his travels he came across three faces we know and love today. Peanut, Jose the Jalapeno on a Stick, and of course the crotchety, lovable old coot that is Walter. Living in Los Angeles, Dunham was making something of a career with his puppets, having appearances on late night television getting his face out there, and regularly stopping in at comedy clubs to work his art. Little did he know that the big break every entertainer was dreaming of was just around the corner. 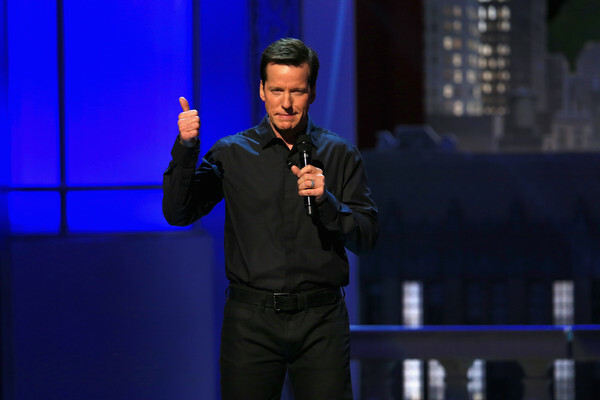 Jeff Dunham had did something that’s a bit like making a demo tape and trying to shove it, repeatedly, into the hands of a producer that isn’t at all interested. He had made a one hour special, produced by himself, entitled “Arguing With Myself”. Comedy Central was the target, and he had been pushing to get it aired by them for years. For reasons unbeknownst to Jeff, they finally did. Two-million viewers tuned in and watched the comedian fill their night with laughter, which led to the network booking him again. Even the most stubborn network can see reason with numbers like that. Spark of Insanity appeared in 2007, with ratings that were frankly unexpected and DVD sales topping one million units. This turned out not to be a fluke, 2008 saw the release of A Very Special Christmas Carol and the numbers were just as good. From there it was a future written in the stars as he performed alongside comedians like Chris Rock and Jerry Seinfield, and Comedy Central say something it couldn’t have anticipated. 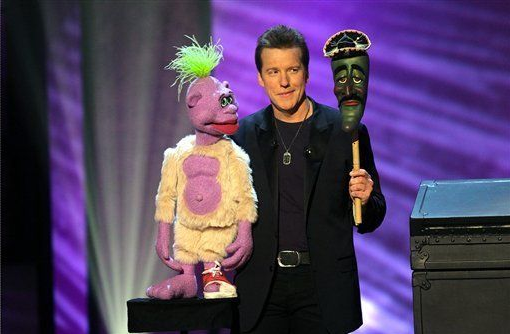 The Jeff Dunham Show, a limited-series program produced by them, ended up breaking records and showing that a comedian can reach an international audience. 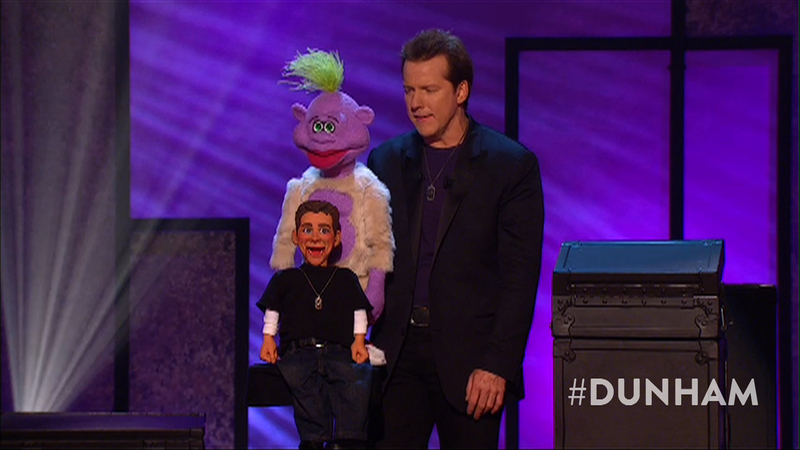 Jeff Dunham had made history. 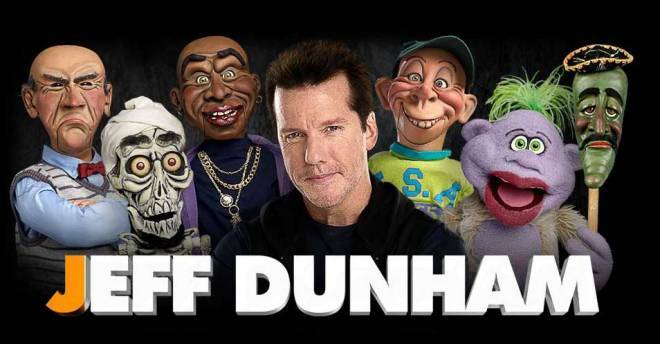 It turns out that Jeff has also paved the way for puppet comedians to be taken seriously again. 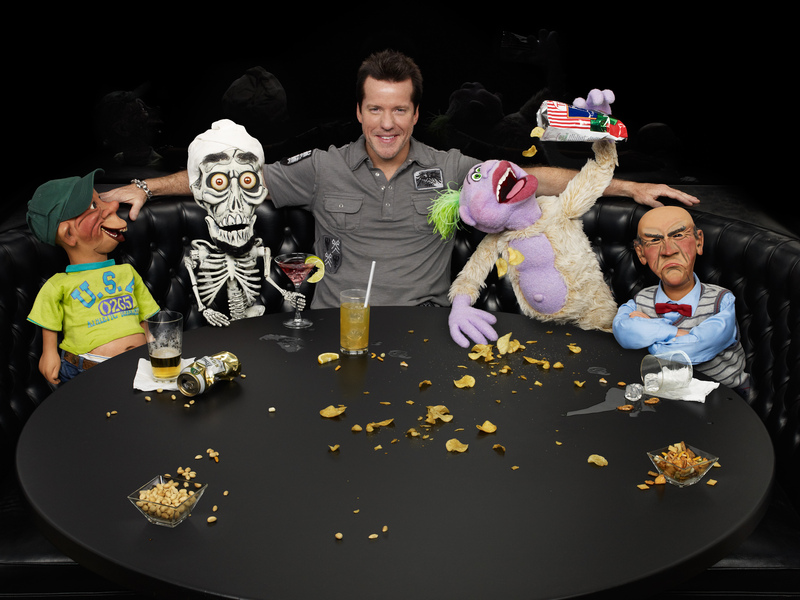 Since his appearance there has been a surging interest in ventriloquism, and shows like America’s Got Talent have debued some of the newest talent to hit the scene. We’ll keep on watching Jeff.